In the name of liberalizing liquor laws and making Utah bars tourist friendly, the Utah Legislature could outlaw the Mai Tai while forcing private clubgoers to drink half again as much as they used to. Lawmakers never bothered asking barkeeps for input. And bar owners are mad as hell. Frustrated bar owners are tired of playing nice. 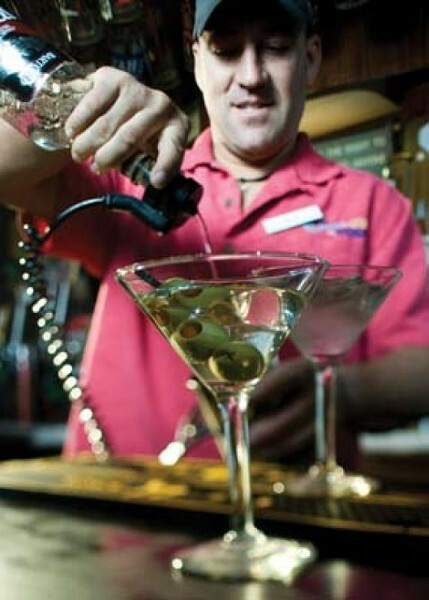 The hospitality association is considering going over the heads of lawmakers to appeal directly to the public for a referendum overturning Utah’s most hated liquor law—the requirement that tipplers be “private club” members before entering a bar. Member clubs are being encouraged to get patrons registered to vote in preparation for a possible signature-gathering referendum push. The 187-page liquor reform that passed the Senate combines a ban on selling flavored malt beverages—like Mike’s Hard Lemonade—in grocery stores with new rules for pouring drinks in clubs and restaurants. Bars will be allowed to pour “up to” a 1.5-ounce drink from meters. Total alcohol in a drink is lowered from 2.75 ounces today to 2.5 ounces. The extra shot “sidecar” is eliminated. Bar patrons will still be able to have two drinks in front of them at one time, unless “one of the spirituous liquor drinks consists only of the primary spirituous liquor for the other spirituous liquor drink.” Whatever that means. “I’m just kind of baffled. They never cease to amaze me,” says Kelly Reagan Petersen of Liquid Joe’s. She sees no benefit of the bill except to high-end restaurants, which under the current law, can’t serve sidecars, a problem that causes tourists to complain about 1-ounce martinis. Gov. Jon Huntsman Jr. pushed through the new 1.5-ounce drink law as his price for agreeing to the Legislature’s demand to move flavored malt beverages from grocery stores to state liquor outlets. It’s part of the governor agenda to make Utah more tourist friendly. McGarry argues the opposite will result. “People are going to be coming here and ordering drinks common everywhere else. Once again, the servers are going to have to explain another quirk in our law, ‘Believe it or not, if you want to order a shot of Makers [bourbon], you can have a shot-and-a-half. But you can’t have a Mai Tai.’” Mai Tais may be outlawed due to the number of flavorings needed to create one, putting it at odds with the new rules. Bill Carter, owner of Club Habits and The Tram Club, says his bar managers are outraged. Proud of his clean record with state alcohol cops, Carter says the Legislature has just dramatically increased his headaches in guarding against over consumption. “I think the people that will be upset are Mothers Against Drunk Driving,” he says. The part of the bill that bans selling flavored malt beverages anywhere but in the state liquor store will effectively cripple the industry in Utah, says David Hansen, representative of Diageo, maker of Smirnoff Ice. Currently the low-alcohol drinks sell in more than 2,000 stores statewide. Hansen contends the state’s 40 or so liquor stores don’t have near the storage space to meet demand for the 1.2 million bottles sold in Utah annually. All this because of 0.22 ounce of ethanol alcohol-based flavoring added to each bottle. During negotiations with lawmakers, Hansen said the flavored malt beverage industry offered to change the formula of its product for Utah. Instead of the current federal standard, in which 51 percent of alcohol in a flavored malt beverage must come from the beer base, manufacturers offered to make a malt beverage with 90 percent of its alcohol from beer and just .05 percent from the flavoring. The proposal was rejected out of hand, he says. “The fact is they wanted to get rid of them,” Hansen says. The final bill says anything called a flavored malt beverage is liquor no matter what is in the bottle. The Utah Department of Alcoholic Beverage Control says it has not yet determined the effect of the malt beverage legislation on its operations. A footnote on the bill says the state should make an additional $1.5 million in profit yearly due to the extra markup charged at state liquor stores. The hospitality association made some progress on two bills of its own. Upset over what club owners perceive as unfair process used to investigate and punish clubs for violations, the association got a bill passed to force alcohol regulators to quickly notify clubs after undercover officers had cited them for an offense. A second hospitality association bill proposed to take enforcement of liquor laws away from the DABC and put it into the hands of the attorney general. That bill looked unlikely to pass at City Weekly’s press time. Bob Brown, owner of Cheers to You in downtown Salt Lake, says the proposed 1.5 ounce pour law would go over well with some clubs catering to the well-heeled who can afford higher drink prices, but his patrons want inexpensive drinks. Club liability insurance costs will increase, since they are based on the volume of liquor sold, he said. That means an extra half ounce will likely add 50 cents to 75 cents to the old $3 one-ounce drink.